Sometimes a song just needs to be 17 minutes long. 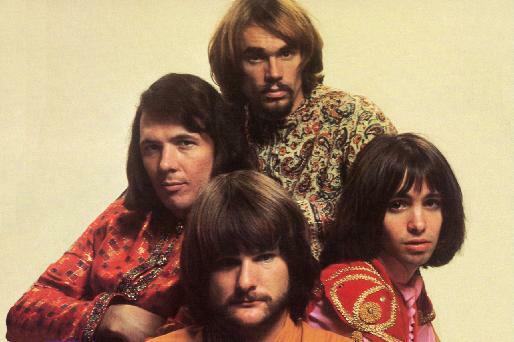 Iron Butterfly started life in 1966 as a psychedelic band from San Diego, one of the first of a new wave of young rock groups with a louder, harder, heavier sound. In fact, they titled their debut album Heavy and piled on the electric riffs. The record showed promise, but unfortunately took its appellation literally and sank with barely a ripple. At this point, they might have become a footnote in the annals of rock, releasing a few more underground albums, and ending as a cult band for collectors of groovy, acid rock curios. Countless groups could tell that very story. 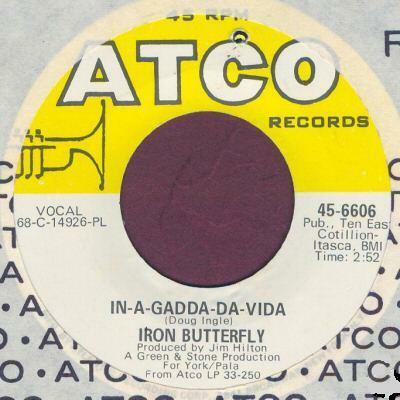 But then Iron Butterfly got lucky. Label president and genius musical executive Ahmet “Ray Charles Calls Me Omelette” Ertegun called up George “Shadow” Morton (whom you may remember as the producer of “Leader Of The Pack”) and asked him to work on a session for Iron Butterfly’s second album. 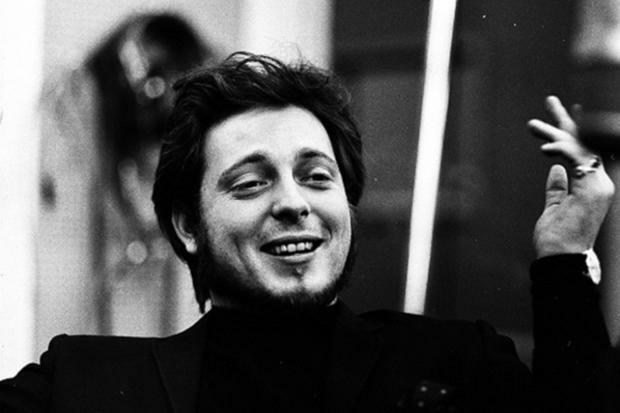 The band’s regular producer was absent or running late or taking a magic carpet ride, so when Morton arrived at the studio he asked the guys to run through the song a few times. Maybe nerves got the best of them, or simple inexperience (lead guitarist Erik Brann was only a lad of 17), but they just couldn’t find the groove. Morton stopped everything and told the band a technical glitch was affecting the recording desk. He said they needed to work on the machinery and asked the Butterfly to go ahead and practice the song because the engineer needed to hear if the sound was reaching the desk. The group began playing what was originally a short track and every time they looked over to Morton for the signal to wrap it up, he instead indicated they should keep going, which resulted in extended soloing before finally coming to an end after an exhausting 17 minutes. Memories differ as to the origin of the name (after all, we’re talking about the psychedelic, swinging 60s), but it seems to have gone down like this: after running through a new batch of songs for his bandmates, lead singer and songwriter Doug Ingle asked drummer Ron Bushy to write down the titles. Ingle apparently had been drinking and was 3 or more sheets to the wind by this point. We don’t know Bushy’s state. But when Ingle slurred the actual title, “In The Garden Of Eden,” the best Bushy could do with his transcription was the phonetic, “In-A-Gadda-Da-Vida.” It sounded weird and mysterious and completely in keeping with the cosmic music of the times, so the band kept the mistake and subsequently recorded it as such. 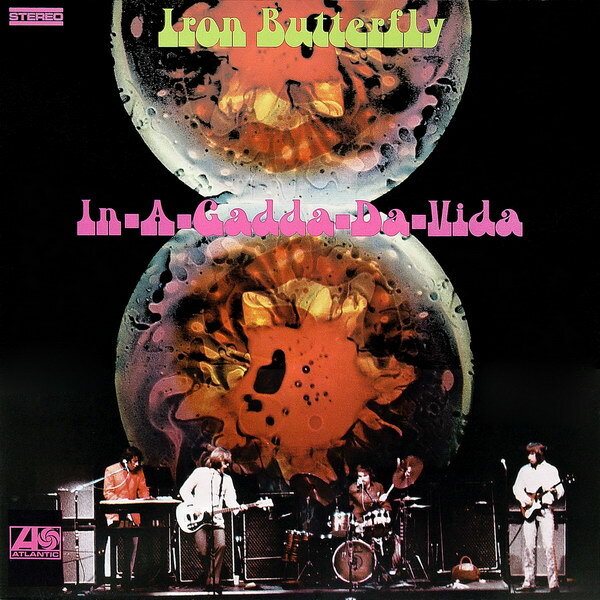 Iron Butterfly released “In-A-Gadda-Da-Vida” as a heavily edited single in the summer of 1968. It climbed into the Top 40 on the US charts and propelled its namesake album (which didn’t contain the single) into the Top 10, eventually selling tens of millions of copies. So grab your love beads and warm up your lava lamp. It’s about to get trippy. If you’re going to be a music scholar of any kind, you need to hear the full version, in all its, I guess we’ll say splendor, at least once. For the most part, the edited single will likely be preferable.